Last time I worked at the card shop (which feels like forever ago), Pete gave me a good sized stack of cards, including a bunch of 2010 Allen and Ginter I needed for my set. 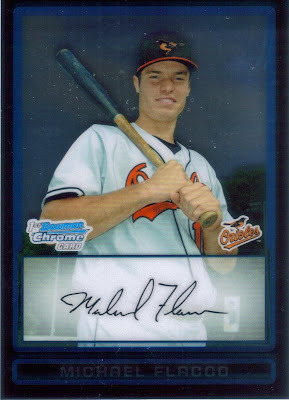 He was also kind enough to hook me up with some 2010 Bowman, since I can't afford the boxes and can't find the packs anywhere. Here is Oriole prospect Josh Bell (who just got called up to replace the recently traded Miguel Tejada). You can never go wrong with Brooks!! 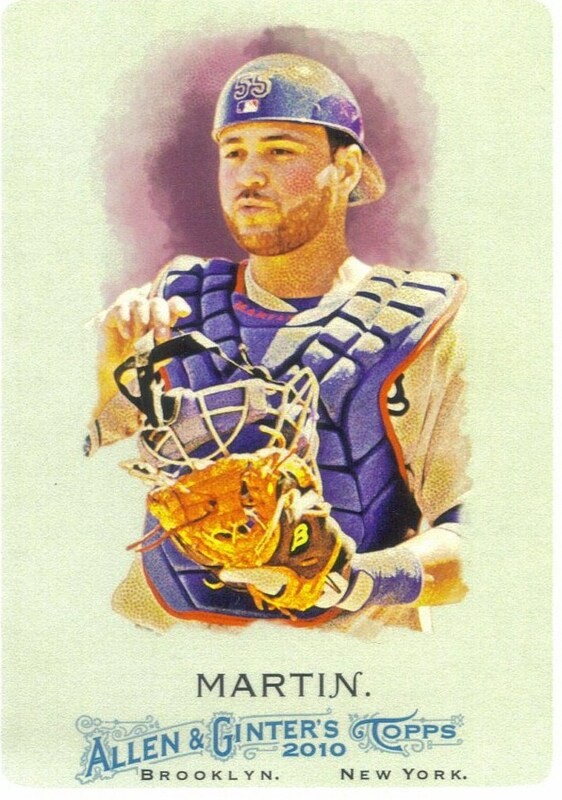 I didn't have this card yet, so that's good. Here is a card of O's prospect Mike Flacco. Yes, he is related to Baltimore Ravens Quarterback Joe Flacco. Mike is his younger brother. He is having a really good year. 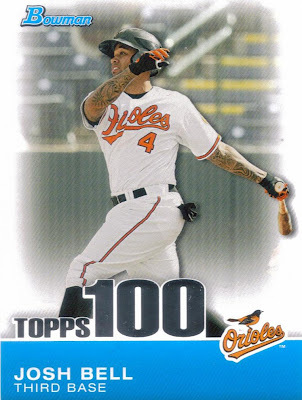 Let's hope he keeps it up, the Orioles could use as many position player prospects as they can get. Thanks for the cards Pete. Its always nice to get stuff I need when I'm at the shop. I'll have some 2010 A&Gs for you when I see you again!! You guys have seen this picture before, but I wanted to elaborate on my meeting with Roch Kubatko on Friday, July 23, 2010. 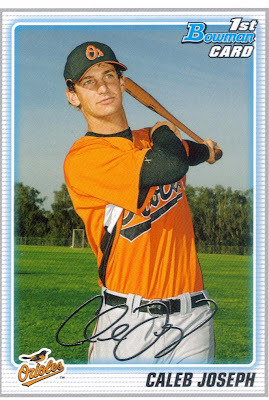 We met up and talked for close to 20 minutes about the Orioles, Nolan Reimold, Dumb Posters (the ones who think they can be a GM just because they have a subscription to ESPN insider), minor league ballparks and the Orioles managerial situation. Roch signed a couple baseballs for me when we finished our conversation. I have to say, it was really awesome being able to talk to him for a good period of time. I also learned some things about the situation with the Orioles. Check out Roch's blog - The School of Roch over at www.masnsports.com if you want some good Orioles information. I was really happy with our meeting and I plan on keeping in touch with him and maybe meeting up again next time I'm in Baltimore. We decided to kill some time on Friday before the game by paying $9.00 and doing the ballpark tour of Oriole Park at Camden Yards. I had done the tour once before, back in 2005, so I figured it was about time to do it again. As you walk into the park, along Eutaw Street, you may notice some plaques dotting the street. These plaques represent the 54 baseballs (as of July 23, 2010) that had been hit onto Eutaw Street. When the ballpark was constructed, it was thought that the warehouse would be an easy target. Each of the windows of the warehouse was fitted with shatterproof glass. As it turns out, the dimensions of the warehouse itself creates a wind tunnel effect that blows balls toward the ground once they reach that area. This is why only 54 baseballs have reached Eutaw Street. One would think, that with all of the 'performance enhancing drugs' that were allegedly consumed by baseball players in the 1990s, SOMEONE had to hit the warehouse more than once. Since Camden Yards opened in 1992, the warehouse has been tagged by a ball only one time, and it was NOT during an official major league game. Some guy no one has ever heard of, Ken Griffey, Jr. hit a ball during the 1993 Home Run Derby that came into contact with the warehouse. It is really awesome to walk along Eutaw Street and try to find the plaque for the ball that Griffey crushed. He had to tattoo that ball for it to make it that far... I wish I could find that on video. 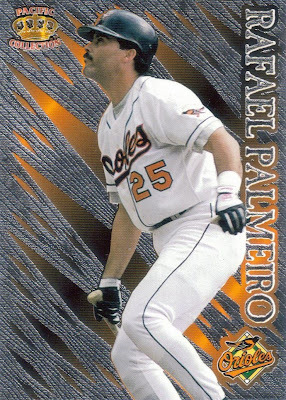 Of the 54 baseballs hit onto Eutaw Street as of July 23, 2010, Rafael Palmeiro holds the record of balls hit onto the street with 5. Luke Scott has 4 and BRADY Anderson has 3. Inside the park, in the club level, the Orioles have many of their achievements on display. Below, are replicas of the Cy Young Awards that Oriole pitchers have received in the past. 3 for Jim Palmer, one for Mike Cuellar, one for Mike Flanagan, one for Steve Stone. Here are the replicas of the MVP awards won by Orioles. Brooks in 1964, Frank Robinson in 1966, Boog Powell in 1970, Cal in 1983 and Cal again in 1991. The Orioles have jerseys showing all of their retired numbers on display: 4 - Earl Weaver, 5 - Brooks, 8 - Cal Ripken, 20 - Frank Robinson, 22 - Jim Palmer and 33 - Eddie Murray. The Orioles, of course, have 42 - Jackie Robinson retired, but since he was never an Oriole, they don't have a jersey retired. 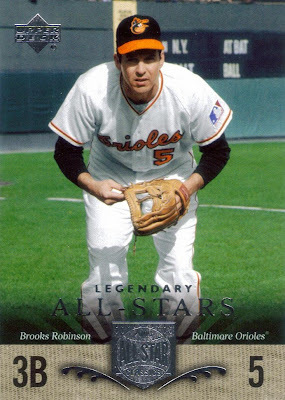 I wonder if the Orioles have the most players named Robinson with retired numbers. Maybe they should lobby to have the last name Robinson retired, or at least demand that they get first dibbs on any player named Robinson. I love that the flash in my camera emphasised the gold of this replica Gold Glove award which was on display to represent the 16 gold gloves that Brooks had won. It looks amazing. I liked these 'autographed baseballs' they had displayed. What's even cooler is that I own 3 of the four. If anyone is looking for gift ideas for my birthday (which is coming up), the Frank Robinson would look awesome in my collection. They have 2 of their 3 World Series trophies on display. The trophies on display are from 1970 and 1983. The 1966 championship is missing because a trophy was not given out until... 1967. I really liked this quote that was on the ceiling. I've seen the quote before, but seeing it again is always good. I don't think a truer statement has ever been spoken... Also, nothing is complete without a quote from Earl Weaver. Good thing they didn't ask him about team speed when they were obtaining this quote... Finally, I close with the warehouse... The warehouse is the former B&O (Baltimore and Ohio) Railroad warehouse and was used by B&O until the 70s. It is the longest building east of the Mississippi river and is longer than the Empire State Building is tall. The warehouse sat vacant from the late 70s until the late 1980s. It was in very bad shape and wa sin danger of being torn down, until the Maryland Stadium Authority bought the property formerly owned by B&O Railroad and began restoring the building to incorporate it into the newly planned ballpark that was slated to replace Memorial Stadium. Since the warehouse had been used in the railyards, the building was covered with soot and grime. Attempts to power wash the bricks failed because the bricks and mortar couldn;t handle the water pressure. The bricks were, then, cleaned by hand using muriatic acid. Workers stopped counting the bricks at 3,000,000. The floors inside the warehouse were rotten and falling in, so the entire inside of the warehouse was gutted and completely restored. The warehouse now serves as a retail/office complex, housing the offices of the Orioles, the Maryland Stadium Authority, Aramark, etc. Before I embarked on my trip to Bowie and Baltimore, I won an auction on Ebay and the item was here when I returned. 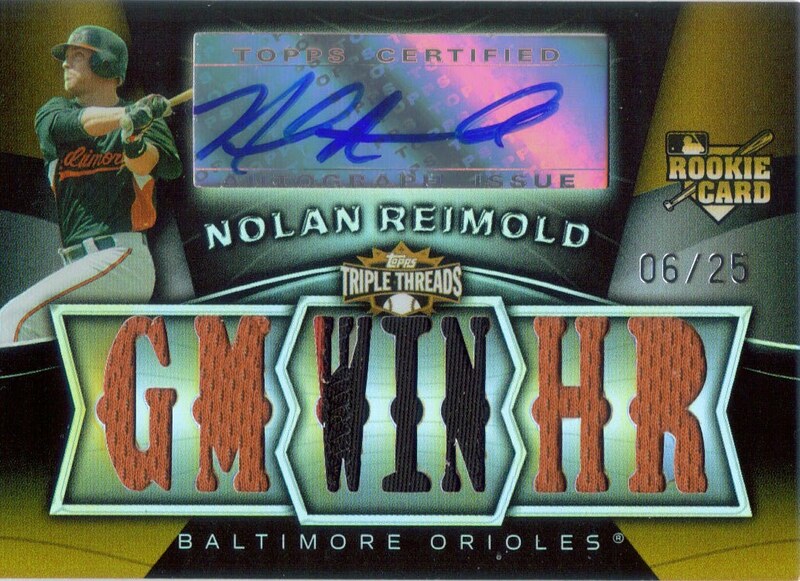 A 2009 Topps Triple Threads Nolan Reimold 7 pc Game Used jersey/auto. #ed 6/25. This card is freakishly amazing and was sooo cheap. It's a shame that Reimold is having a train-wreck of a season, because in my mind, he is an awesome player. 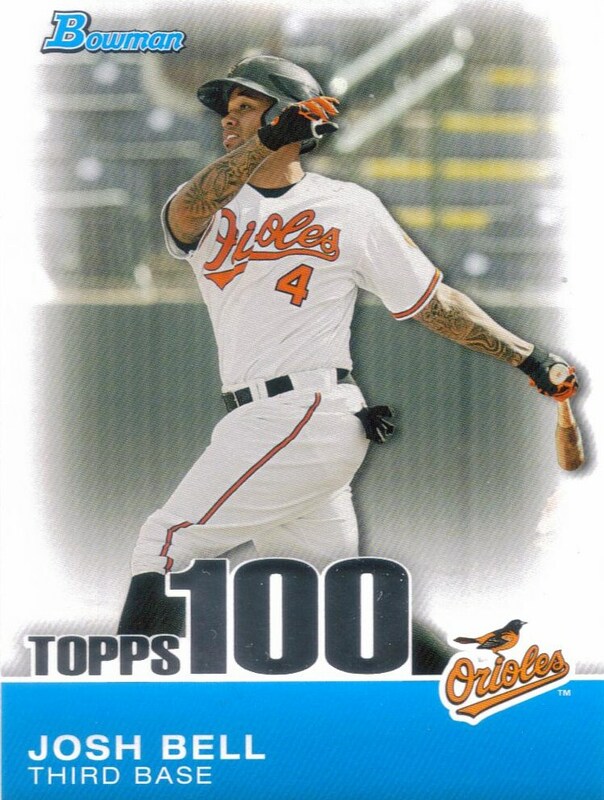 I'm hoping the Orioles give him a long leash and allow him to get his head straight. From what I understand, he has been battling some personal issues in addition to the ankle/heel injury he sustained last year. I'm sure you all know I'm a huge Reimold fan. I really enjoyed meeting him a couple months ago and I really hope he has a long productive Major League career. Whew. I packed so much into yesterday, its hard for me to believe everything I did. Add that to everything I have done on this trip and it seems like I worked my tail off on this trip... and it's supposed to be my vacation. First things first, to my surprise, the Orioles activated Brian Roberts before the start of yesterdays game. That was really awesome, so, now I can say I was at the game that turned the Orioles season around. I really feel like Roberts' absence from the lineup is one of the main culprits for the disaster which has been the 2010 Orioles season. Roberts went 0-4 in his return, but he worked the count in all of his plate appearances. Something the O's hitters didn't do in the 5-0 loss the day before. I acheived one of the goals I set out on when I left Greenville, and that was to meet MASNSports.com's Roch Kubatko. I have followed Roch since he was a reporter for the Baltimore Sun. Now, he reports and blogs for MASNSports.com. I read his blog daily, and it is the best source for Orioles news. I met up with Roch at the press box and talked O's baseball with him for a good 20 minutes. He was really gracious to let me intrude in his daily routine. We talked everything from Roberts' return to Nolan Reimold to minor league ballparks. This was a huge highlight in my trip. There wasn't time for a photo op and I had my baseballs and pen buried in my backpack, so when we walked by the radio booths and saw Bert Blyleven standing there, I wasn't able to get an auto or picture. It didn't matter, though, I shook his hand, told him he should be in the hall of fame. He asked me my name and where I was from. He was really nice. I wish I had been able to at least get a pic with him, but I realized he was busy. He thanked me for stopping by, and we continued on our tour. Just being able to say I met and shook hands with Bert Blyleven is really cool. I can now say that I have met and shook hands with: Brooks Robinson, Bert Blyleven, Chris Hoiles, Tippy Martinez, Nolan Reimold, Brandon Waring and Brandon Snyder. Each of those guys was really cool and stopped long enough for me to have a brief conversation with them. I will post about the game itself when we get home later today, but the Orioles actually did win, which was so cool. I almost forgot how a win in person felt. After the game, we waited be the parking lot to try one final time to get Jim Thome's autograph. While we were waiting, Brian Matusz came out, I spoke to him for a second, but he said he didn't have time to sign right now. 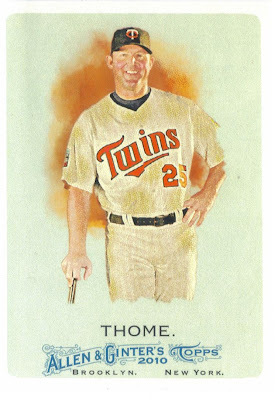 Then, Thome and Mauer came out together. 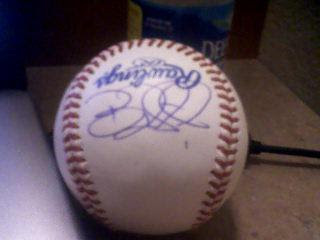 I was unable to get Thome to sign, either. Dang. Oh well. I did get John 'T-Bone' Shelby, only after he complained about it. Someone later told me that he always complains to give fans a hard time, and usually doesn't sign. 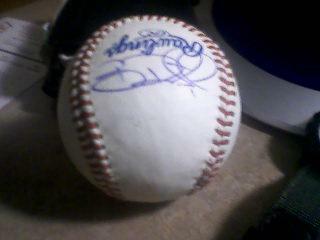 Well, he signed my ball, so I guess its a win for me. Its not like I harrassed the guy. I had an awesome time on this trip and accomplished all but one of my goals (getting Thome to sign). I would say I was really successful. Then Wigginton goes off. He snapped like Ken Shamrock. He looked like he wanted to fold the ump in half. I'm serious. They got chest to chest and Juan Samuel had to forcefully push Wiggy away from the ump. Of course, Wiggy goes right back to the ump and gets his money's worth. He, then, fired a ball into the stands, untucked his uniform and walked into the dugout. Samuel went off for a good bit of time, throwing his hat to the ground, kicking the dirt, and then picking up his hat and throwing it like a frisbee toward the pitcher's mound. A season's worth of frustration overflowed onto the field last night. We were all able to blow off some steam. Maybe, now, the listless Orioles can play with a little fire. Wigginton, for sure, is facing a fine and suspension. Samuel probably is too. I, for one, have a newfound respect for Wigginton and Samuel. I've learned in my close to 30 year existence some very important things. One of the most important things that I have learned is that no matter how highly you regard someone, it is human nature for them to let you down. Your friends, your family and obviously, your sports heroes. People make mistakes every day. I sure do. If I weren't able to forgive, then I sure would be a lonely person. No one is perfect. 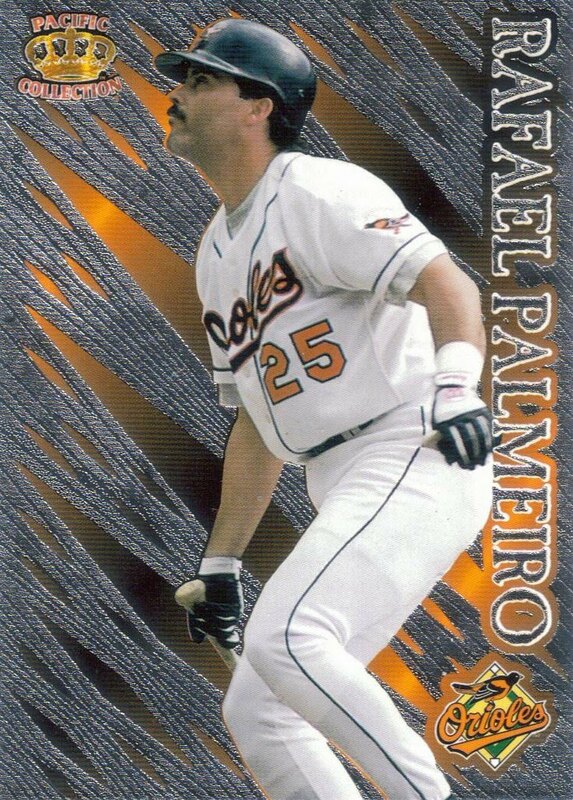 It has been 5 years since Rafael Palmeiro was caught using performance enhancing drugs. The circumstances surrounding these events is still clouded in mystery. I still don't know how to feel about it. I sure wish I could unlearn what I have learned, but you can't go back and change the past. We went to the second of our two planned games for the Bowie Baysox today. THis time, we were kind on underwhelmed. It was really hot and I just wasn't feeling it today for whatever reason. We got to see Roberts again, but were unable to get him to sign anything. I'm not complaining because we scored big time yesterday, so anything else was pretty much a bonus. I did have another conversation with Brandon Waring, congratulating him on his moon shot last night. He thanked me and went about signing for people. Tomorrow, we will be heading to Camden Yards. My goal is to get Jim Thome. A bonus would be Joe Mauer. Keep your fingers crossed. I also plan on heading to the press box to meet Roch Kubatko in person as well. We'll see how it goes. I'm filing this entry from the Red Roof Inn in Lanham, MD after getting back from the first of two Bowie Baysox games in which I had hoped to meet and have Brian Roberts sign a bat for me. The game was a high scoring affair on the Baysox' part, with a 7-run bottom of the fourth inning highlighted by back to back to back homeruns by Joel Guzman, Joe Mahoney and Brandon Waring. I was especially happy that Waring jacked one (and boy did he) because this was the third time I have spoken to him at a game. He is an alumni of Wofford College, the same college that my brother starred on the gridiron as a Tight End. Waring told me before that he remembered my brother, so I think its cool that we have something we can chat about before games. Also, Brian Roberts was playing a rehab assignment before he is to be activated this weekend. He has been on the 60-day DL with a herniated disc in his back. 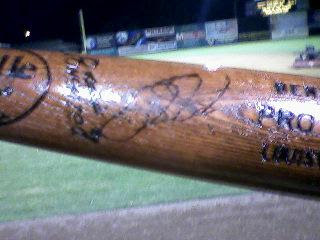 After the game, I was able to score a Roberts signature on the bat I brought in, plus, my cousin got a ball signed. I also gave a ball to the guy sitting behind us because he seemed really cool, and he got it signed, then gave it to me saying that he just wanted the thrill of having it signed... Pretty cool. My cousin took a bunch of pictures and I will file another entry once he loads them on my laptop for me. These pictures were taken with my call phone, haha. 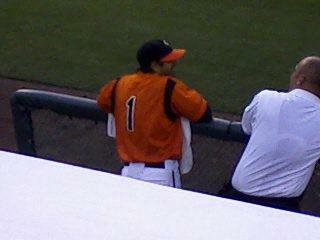 The baysox ended up winning 10-3 and Roberts went 3-5 with 2 singles and a double. Continuing on my vacation, I subjected my cousin to another Minor League game. This time, we went to Zebulon, NC to a Carolina Mudcats game. Carolina was playing Chattanooga again, and since Max was unable to get his bat signed by Dee Gordon when we were in Chattanooga, we tried again... this time a little closer to home. So, the three of us braved the heat and went to the game and ended up having an awesome time. Max was able to get his bat signed by Gordon, which was his main objective. He has had the bat for a few months now, since Chris got it for him at an earlier Mudcats vs Lookouts game. Here are Max and I discussing how awesome we look in matching hats. Either that or we were discussing which player autographs we wanted to pursue next. I seriously don't think there is a person who I would rather watch a game with, than Max. We really enjoy talking about the game together, and our back and forth banter is definitely worth listening to. My cousin said that he found it to be very entertaining. The mudcats were wearing special jerseys which were to be auctioned off to benefit cancer research. They looked like pink Houston Astros jerseys. I almost bought one, but I felt like the $90 opening bid was a little higher than I wanted to spend. We got a little tease before the game as Dee Gordon came over to sign Max's bat, only to be called over for pre-game drills. He promised to come back, and lived up on his promise. I was so happy that Max met his goal. The coolest part of the game, however, was when Andrew Lambo (another top Dodger prospect) jacked a home run that went over the wall and hit the visiting clubhouse roof. I told Max he should go see if he could get the ball. I went myself and was able to talk a groundskeeper into looking for it for me. Luckily, he found the ball and tossed it over the fence to me. Max was able to get Lambo to sign it (actually, I got it signed for him because he was getting his bat signed at the time). I'm sure Max will be putting his ball and bat up on either his blog or our memorabilia blog. We had a blast at this game, as usual. I think Five County Stadium is near the top of the list as far as being able to get signatures, so if you are in town and want to give it a shot, head by there and see how it works for you. I have been pretty lucky so far this season. The best part is that my best friend was able to get some cool stuff to add to his Dodger collection. I have already been to Greensboro's park before, and enjoy it. I'm not a fan of the net surrounding the park, I mean, I know safety is key, but the net is obstructive. We got a few autos from Asheville players before the game, then watched them play a very sloppy game against an equally sloppy Grasshoppers team. It was SO HOT at the game; we thought some thunderstorms were going to roll into the area, but they didn't before the game ended. We had a good time, nonetheless. As a reward for Max doing well in the first summer session at NCSU, a precursor to my impending vacation, and a reason to go on a road trip with my best friend and my younger brother, we all decided we'd take a trip to Chattanooga, TN in order to catch a Lookouts game. I picked Max up in Raleigh Friday evening, then we drove from Raleigh to Columbia, SC to spend the night with my brother Adam. Highlights from Friday evening was the light show (constant lightning, NONSTOP) from Florence to Columbia and hanging out on the rooftop of the Columbia Sheraton. We woke up early Saturday morning and drove from Columbia to Chattanooga (a 5 and 1/2 hour drive). Downtown Chattanooga was really nice. We walked around there for a bit before we headed into AT&T Field. Parking was readily available in the vicinity of the park, we parked in a parking deck for the whole evening for the price of $7.00. The concession areas take debit cards, so that was nice. Their hot dogs were really good. It was really hot when we got to our seats. Max and I walked down to the home dugout to try and get him some autos since the Lookouts are the AA affiliate of the Dodgers. We were able to see Dodger pitching prospect Chris Withrow pitch, which was nice. Max had wanted to get the bat that my son got him at a Carolina Mudcats vs Lookouts game signed by Dee Gordon, but Gordon was at the Futures Game. We are going to try again to get that on a later date. Pitcher james Adkins was standing outside and posed for a picture with Max after he signed a ball for him. This was one of the best trips I have had, and I was able to spend it with my brother and my best friend. My brother isn't a huge baseball fan like Max and I, he had enjoyed his trips to Chattanooga while playing college football, so he had originally suggested that we go there, sine the 3 of us had discussed which minor league teams we wanted to catch. This was a really good choice, as a great time was had by all. I'm very fortunate to have the people around me who enjoy my hobby as much as I do. I broke down the other day and bought 3 boxes of 2010 A&G. I wasn't going to get any because I thought the Stephen Strasburg mania was going to drive the prices waaaay up and I also thought that with the hype, no boxes would be available when I got to the shop. Well, there were boxes at the shop, so I decided I was going to get two. I then texted Max to see if he wanted to go halves on a box, which he did, so I ended up getting 3. I busted one box at the card shop with my brother Andy, then went to Max's place on Monday and broke the other two. I really like this year's design. I was pretty disappointed in last year's offering. The roll marks really pissed me off, so that pretty much killed it for me. You can see that I'm still working on 09 A&G. I'll finish it eventually. 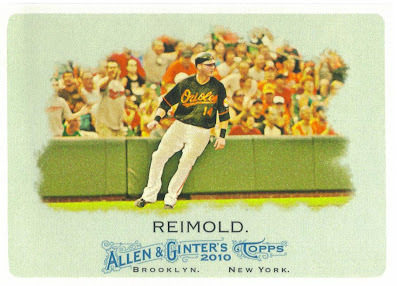 This Reimold is pretty sweet. Here is this year's Roberts. I want to try to get as many versions of him as I can. I have a bunch of his other A&Gs, so this year will be a nice challenge as well. 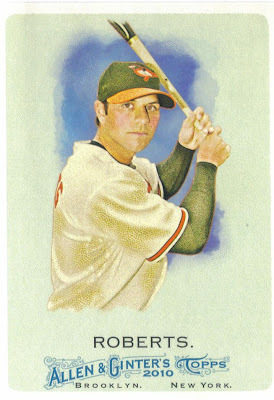 I'm really satisfied with this year's Allen and Ginter. I got some sweet autos (which I will post later) and a rip card (Yunel Escobar). I let Max rip the card since he hadn't ripped one before and we got a Pablo Sandoval exclusive mini. I let Max keep the ripped Escobar and the mini Sandoval. The release of A&G marks the anniversary of how I met P.A. I met him as I was busting 2008 A&G. So, here's to you, P.A., you're a good man, I'm glad we have become friends!!! Head over to Max's and my blog and see that he has POSTED, finally! Give it a read and leave him some comments!!! 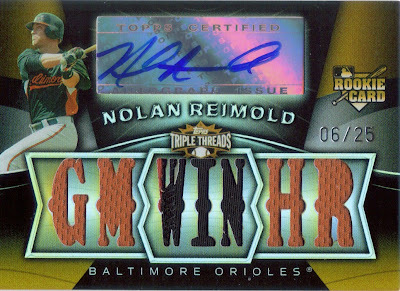 Labels: 2010 Allen and Ginter, Brian Roberts, Jim Thome, Nolan Reimold, P.A.